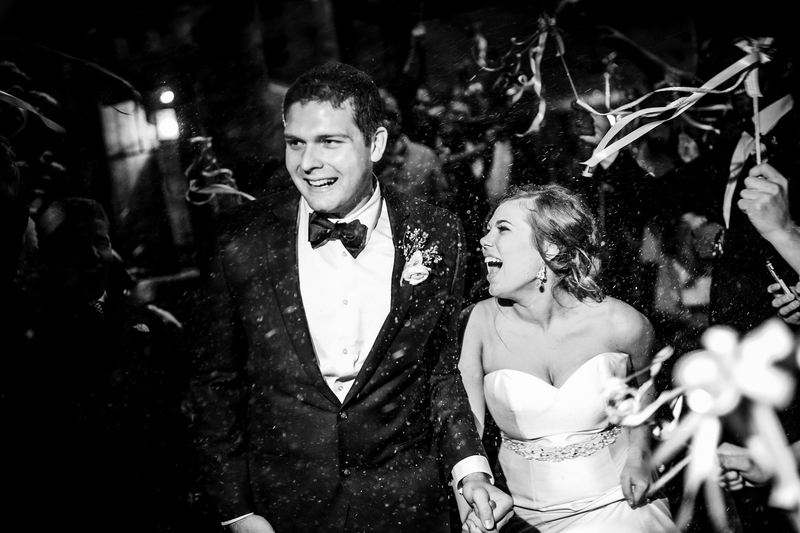 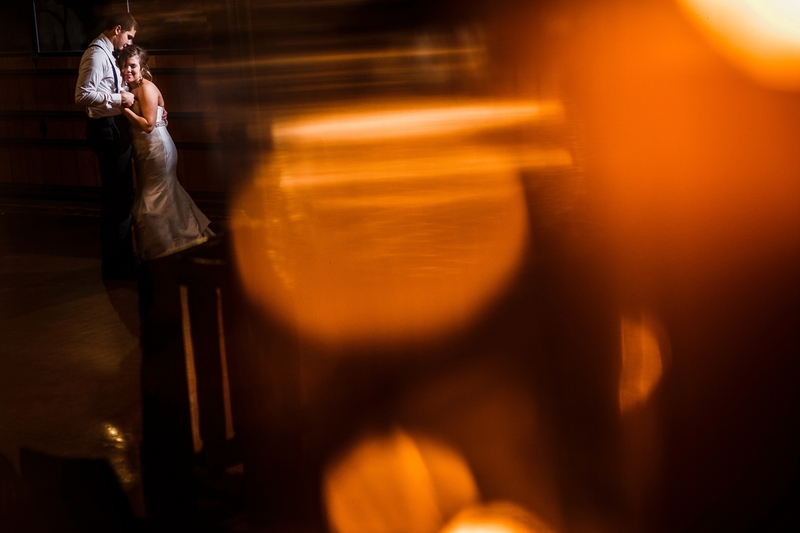 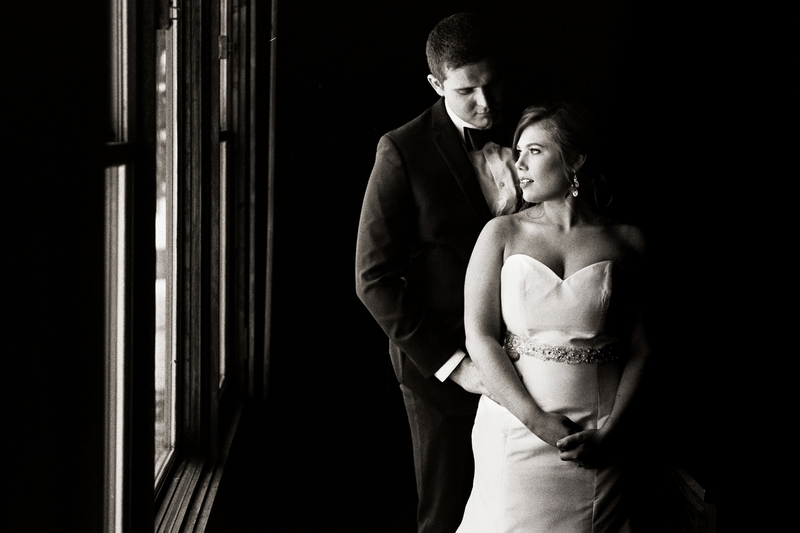 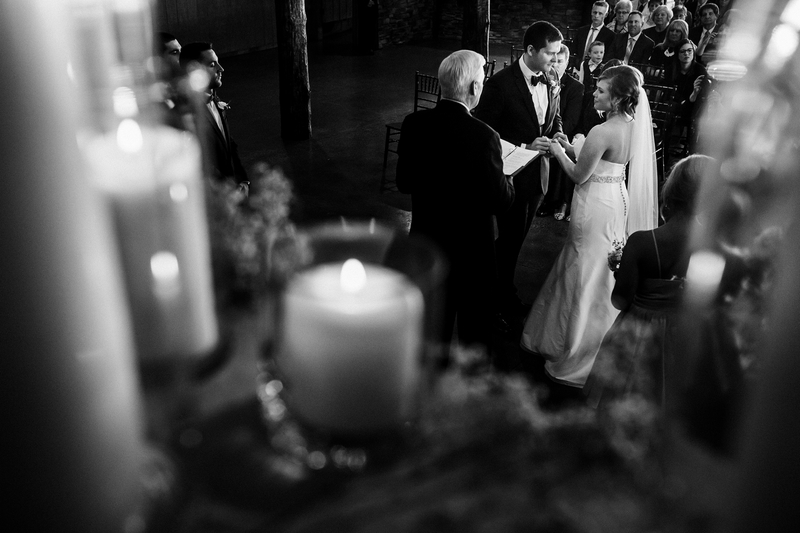 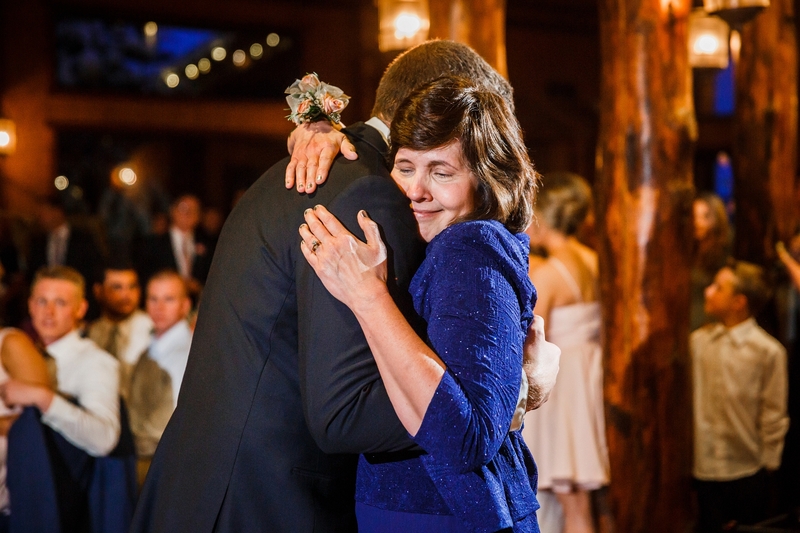 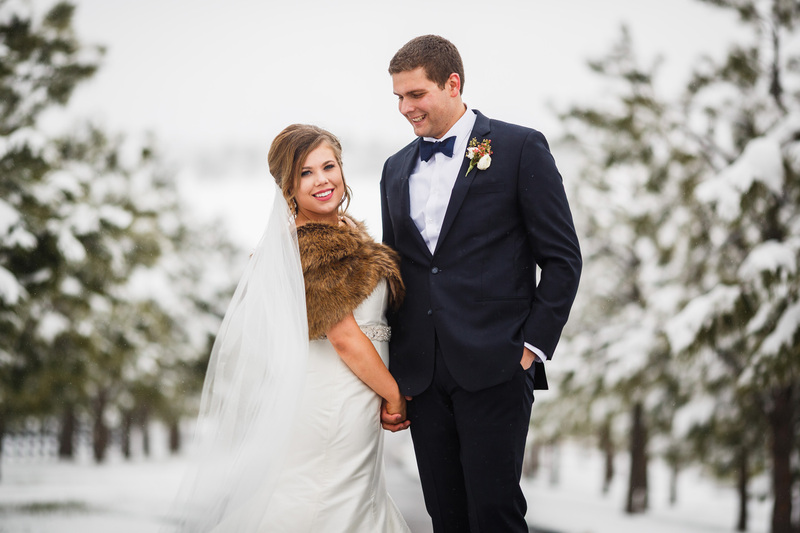 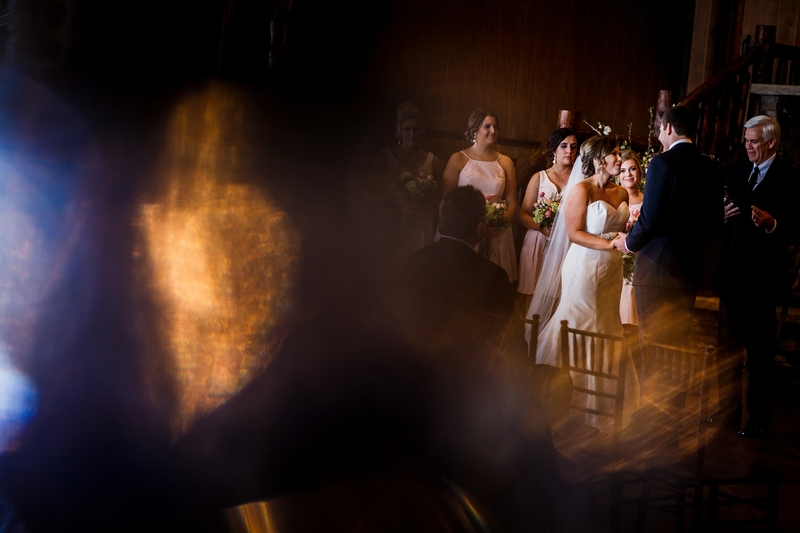 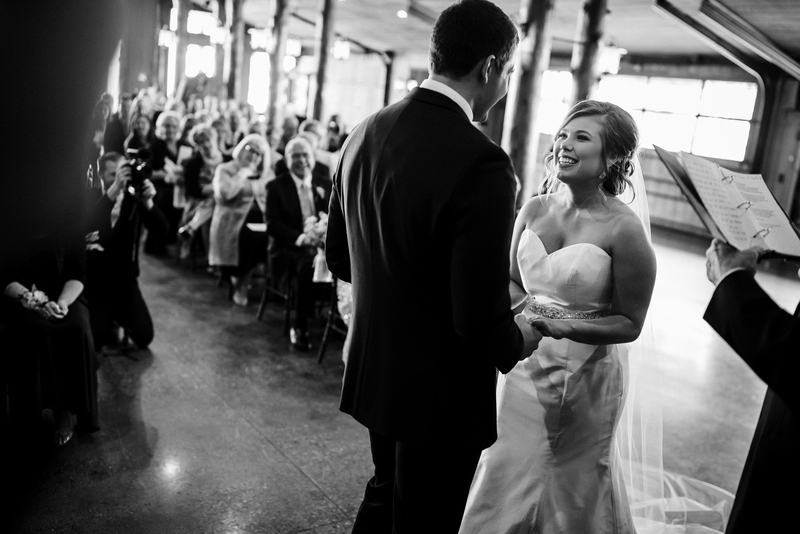 Charlie and Claire weren’t envisioning a winter wedding when thinking of their big day, but they got it, and embraced it. 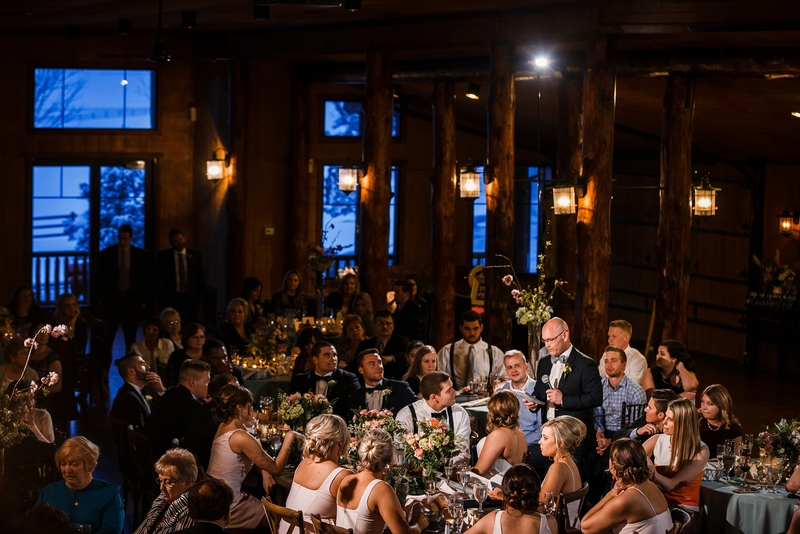 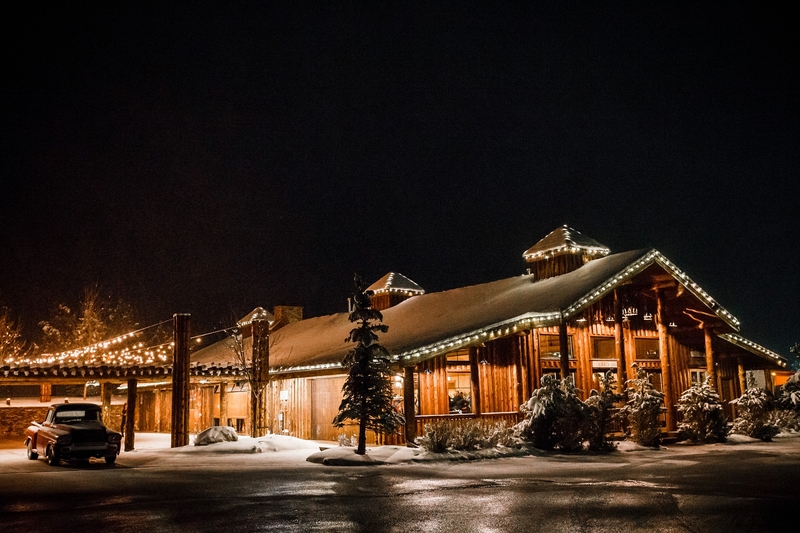 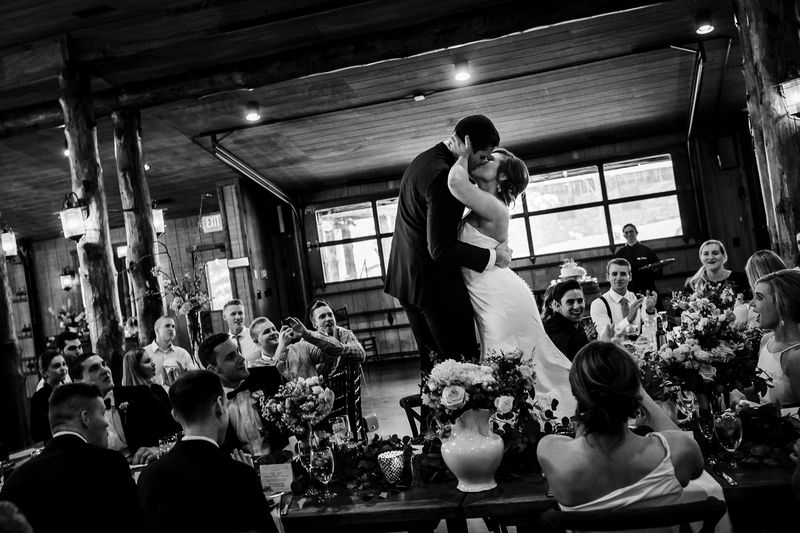 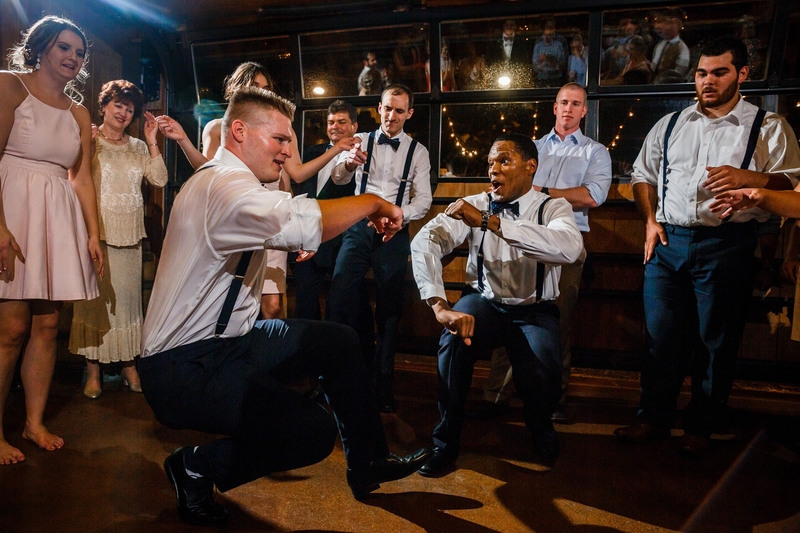 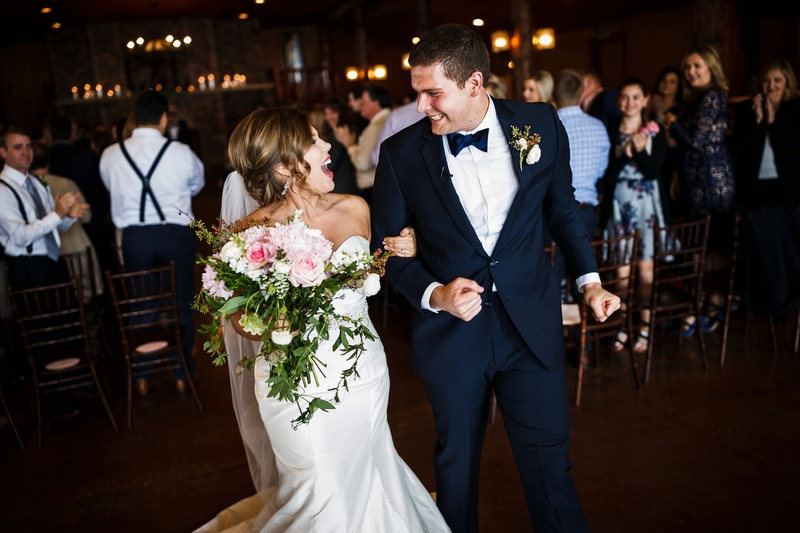 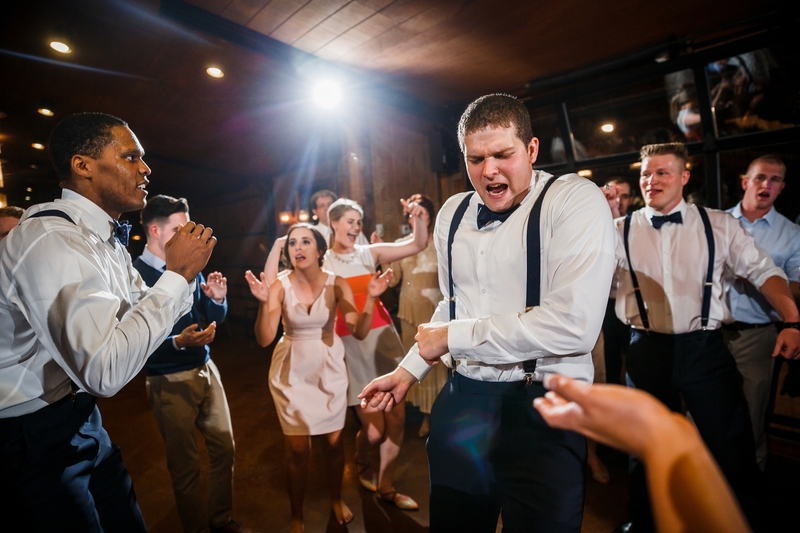 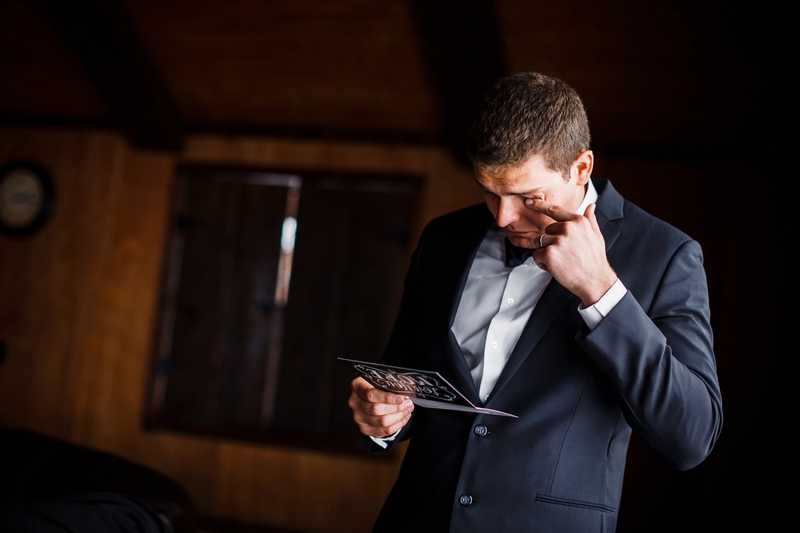 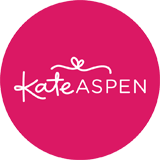 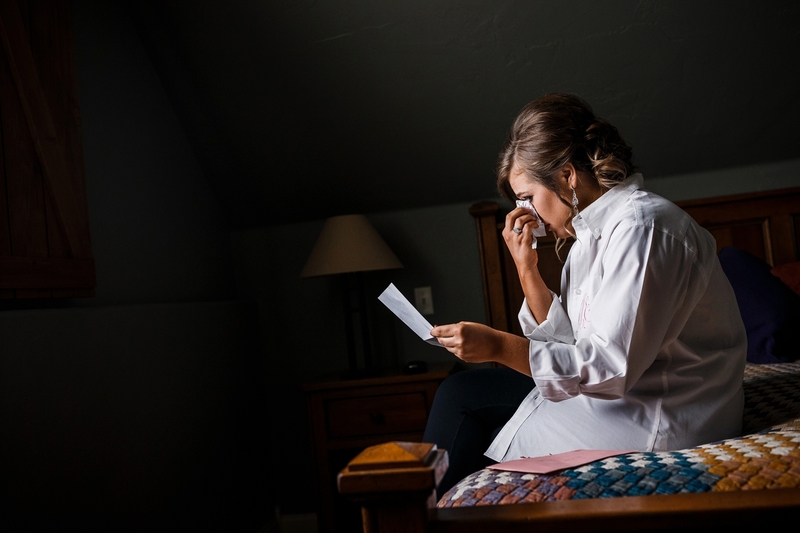 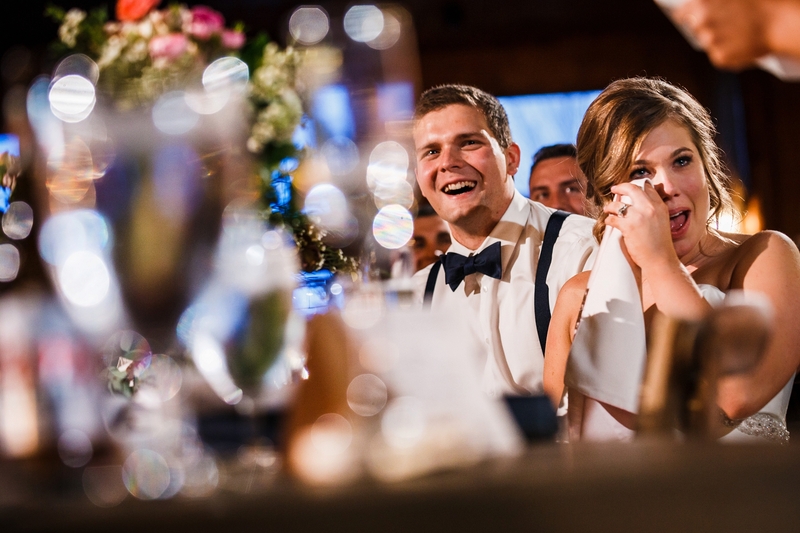 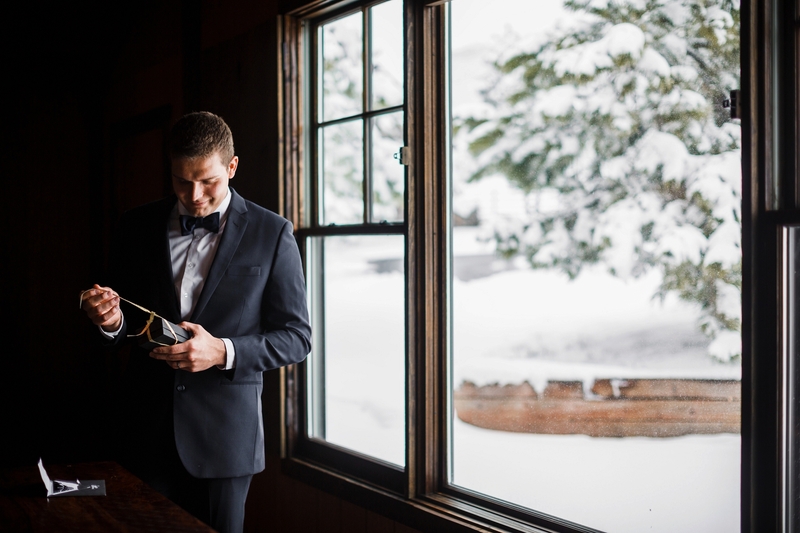 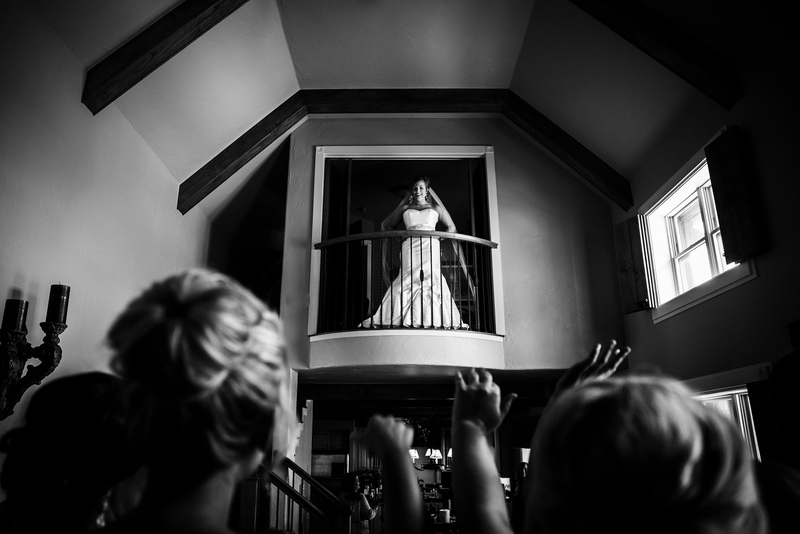 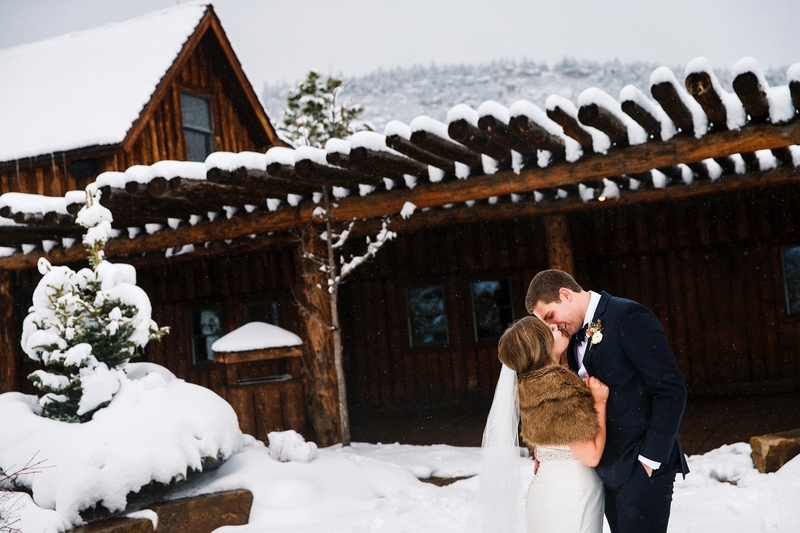 About a month out, Claire let us know they she had begun her weather watch and was crossing her fingers for a bluebird day for her Spruce Mountain Ranch Wedding. 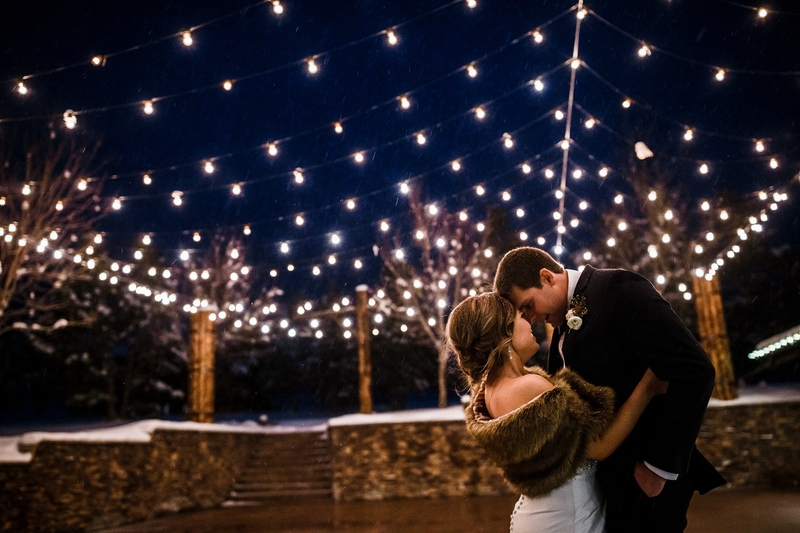 It was looking good, but then the forecast pegged Saturday for eight inches of snow, and the switch to an indoor ceremony was made. 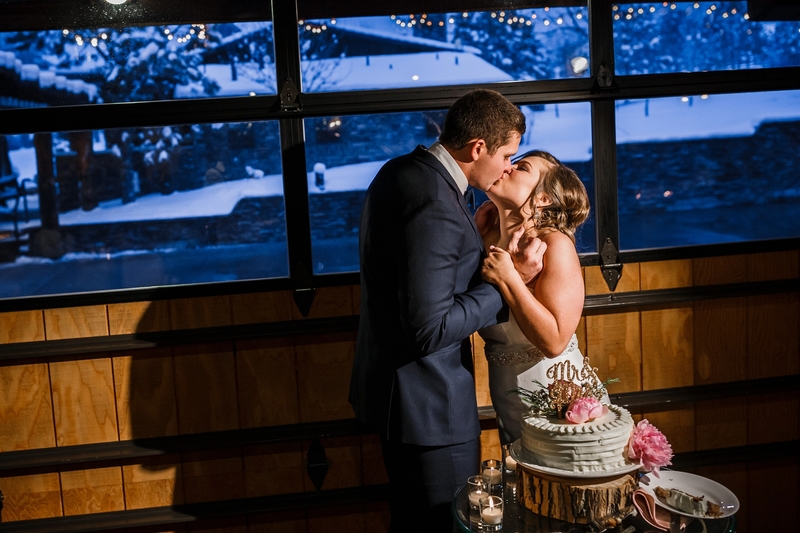 Having started their relationship in Colorado Springs while Charlie attended the Air Force Academy, they wanted to share parts of their history with their friends and family. 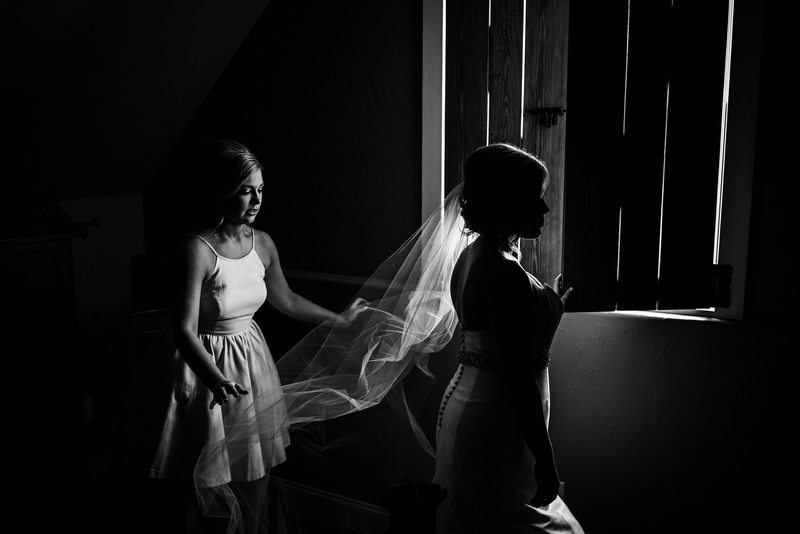 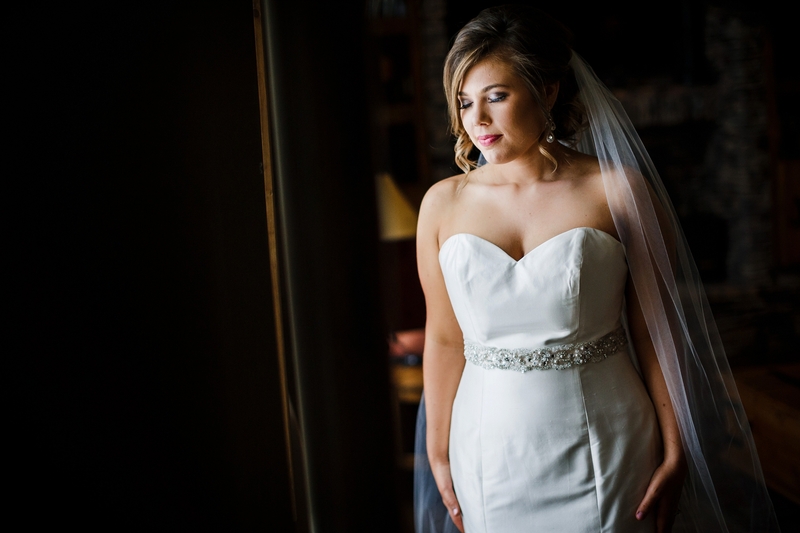 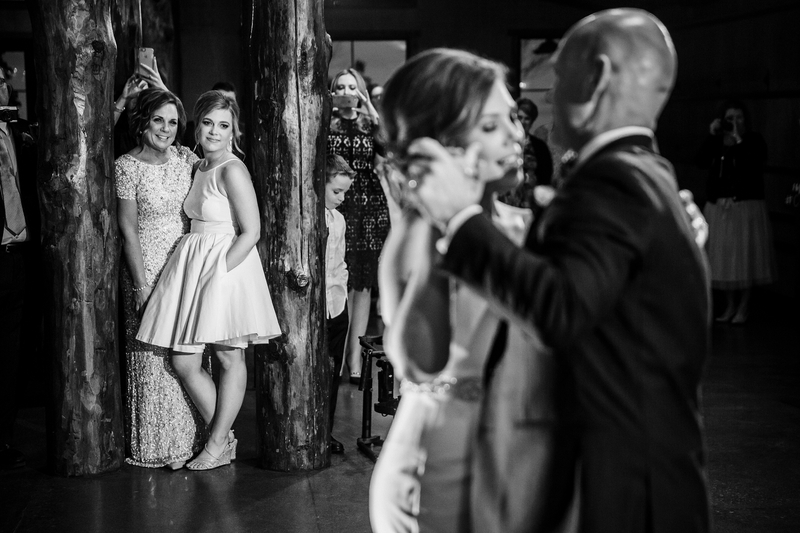 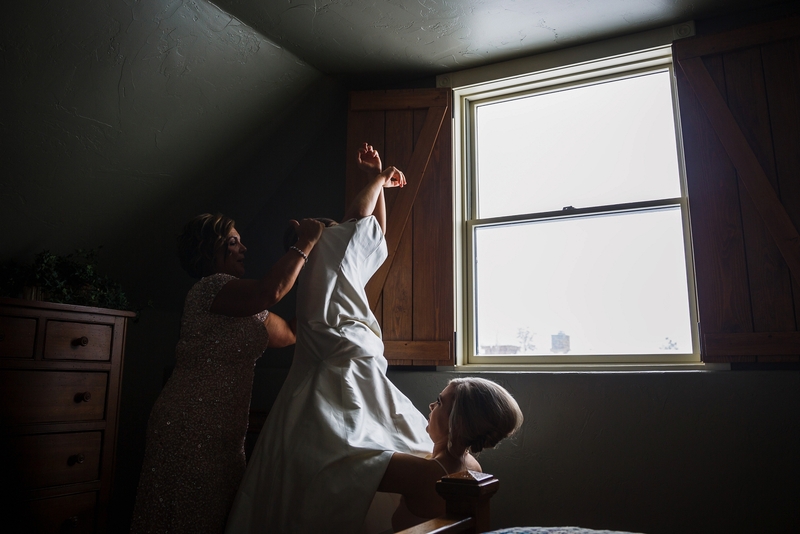 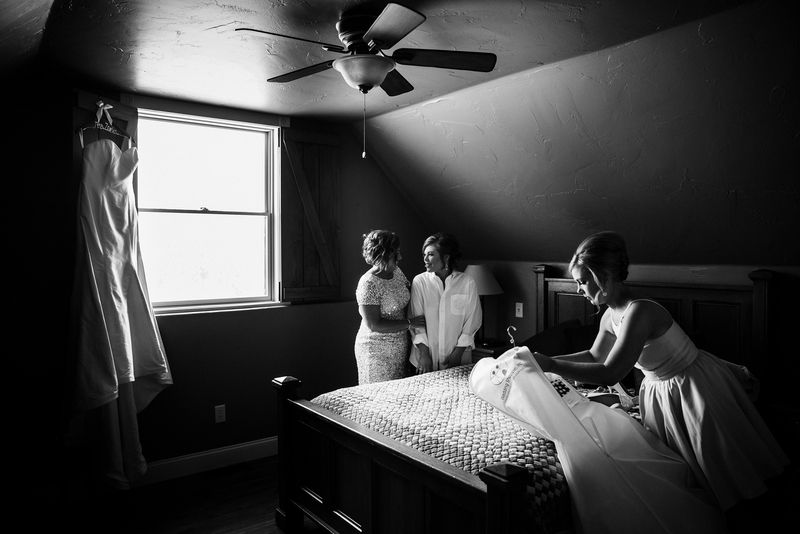 Claire got ready at The Broadmoor and then slipped into her dress in Ruby’s Cottage. 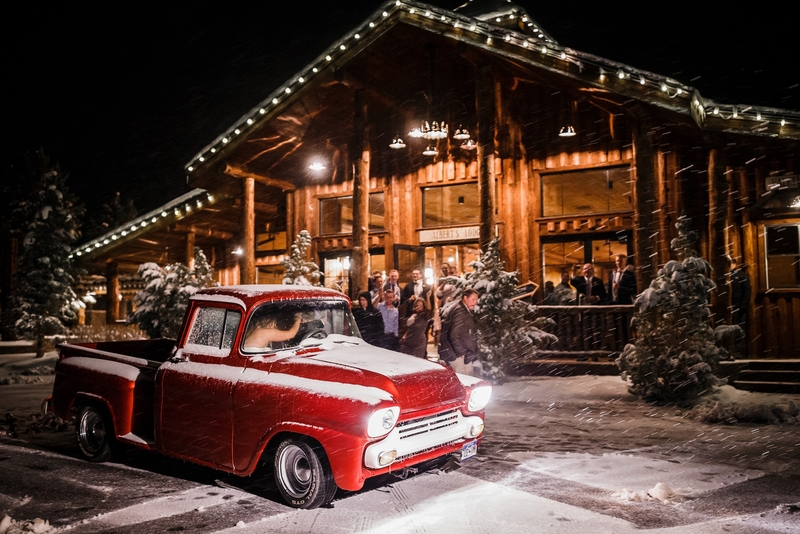 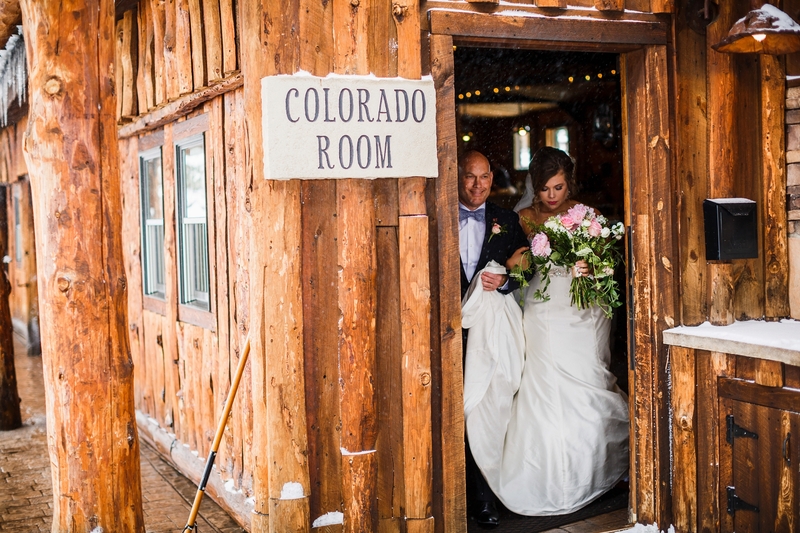 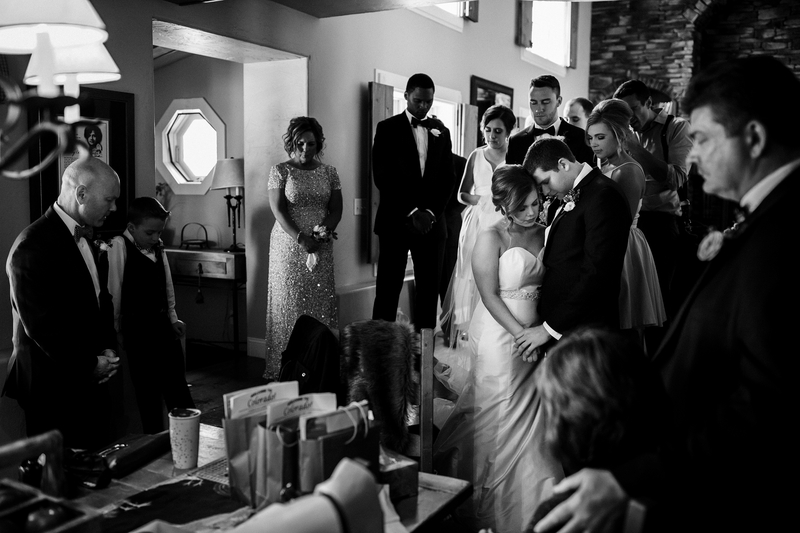 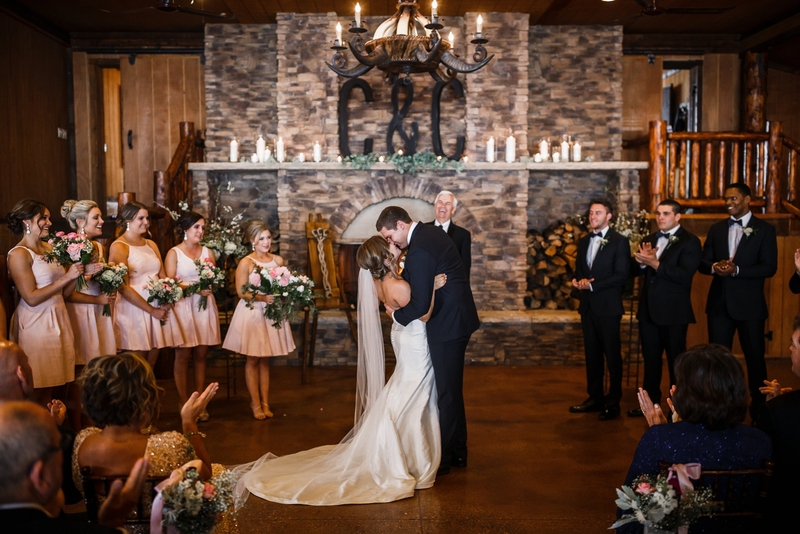 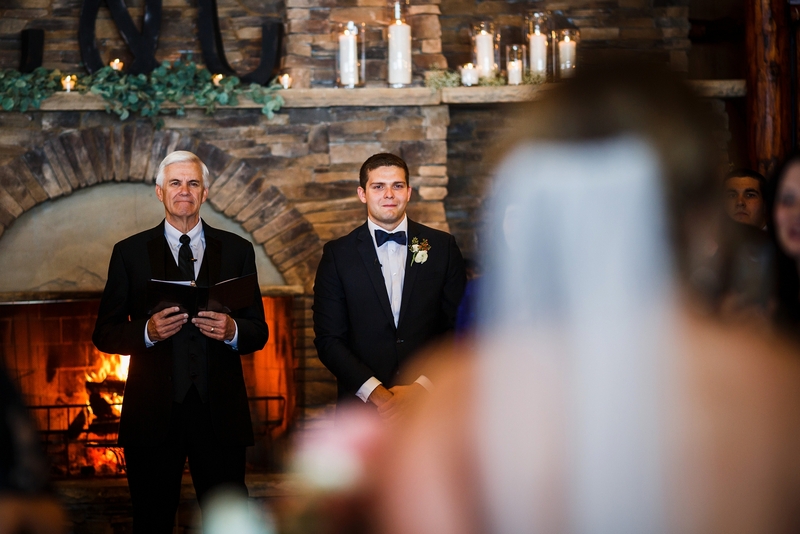 With all the snow, the ceremony was moved inside to Albert’s Lodge, but the attention to detail and planning made it just as elegant as if it were outside under the cottonwood tree. 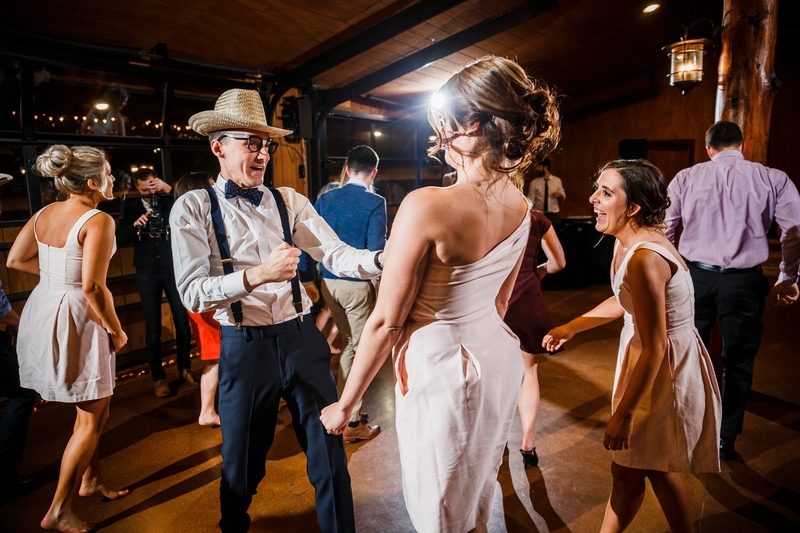 After a beautiful ceremony in which Charlie & Claire were blessed and prayed for by family, we headed straight into dinner and a night of getting down on the dance floor. 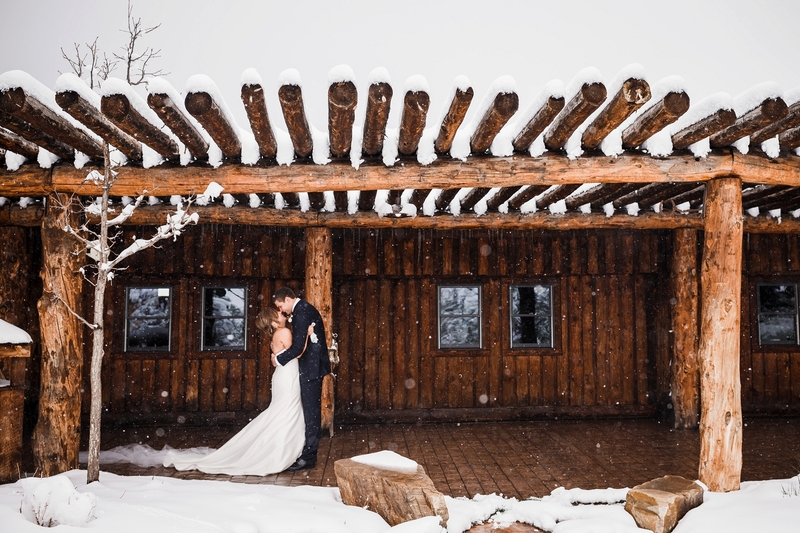 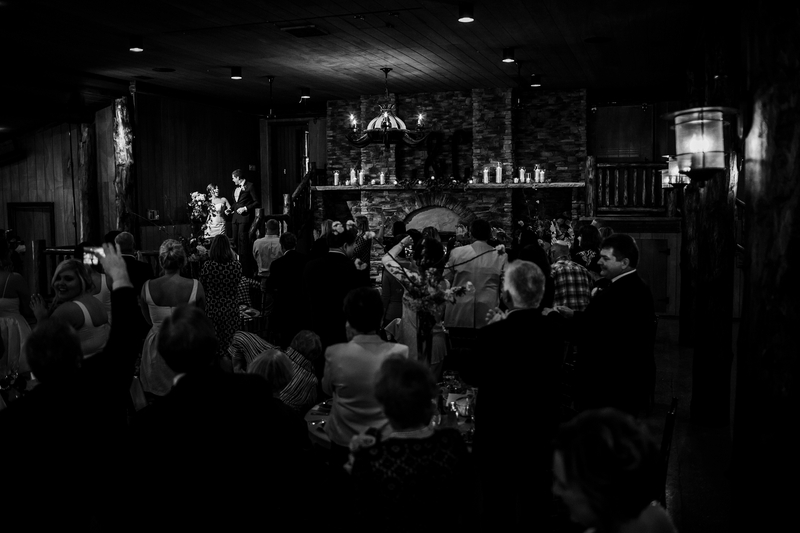 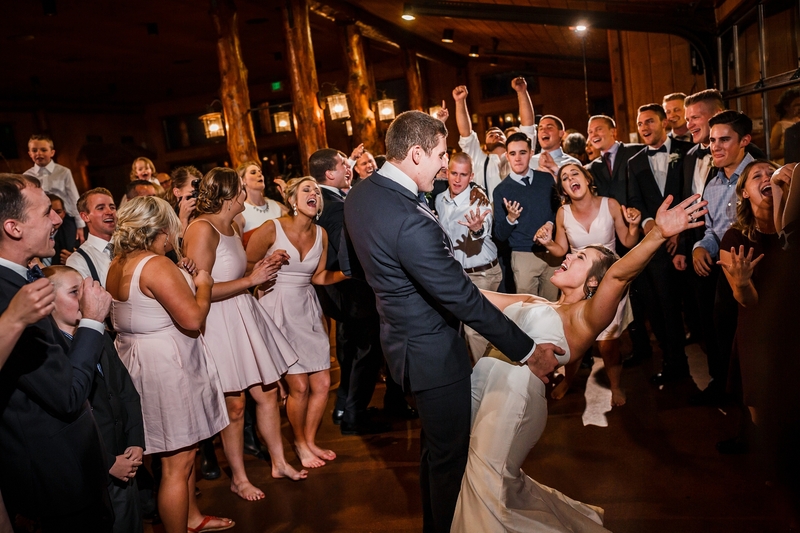 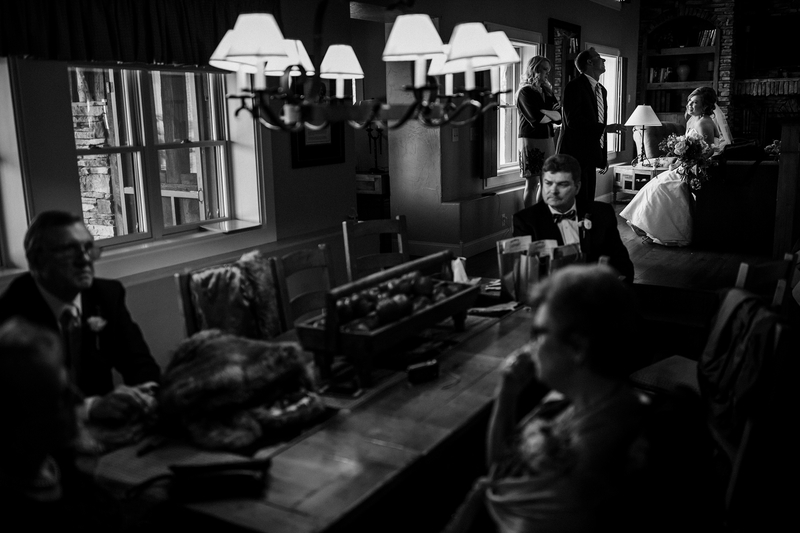 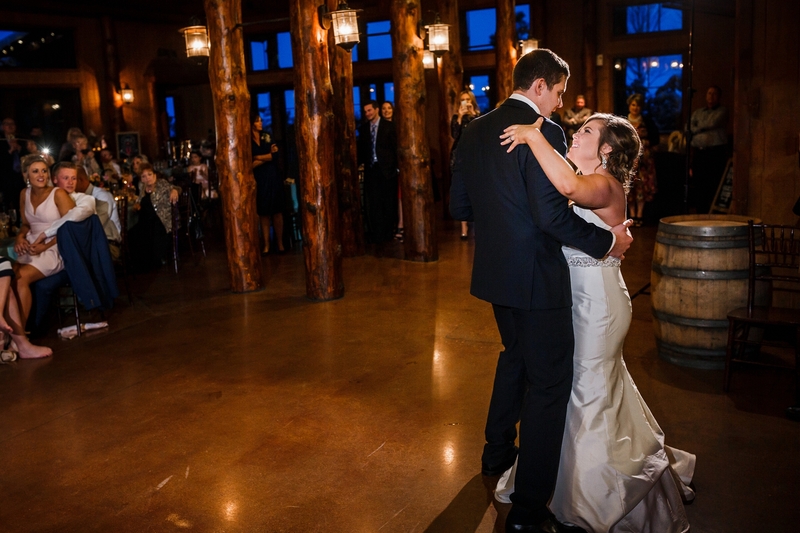 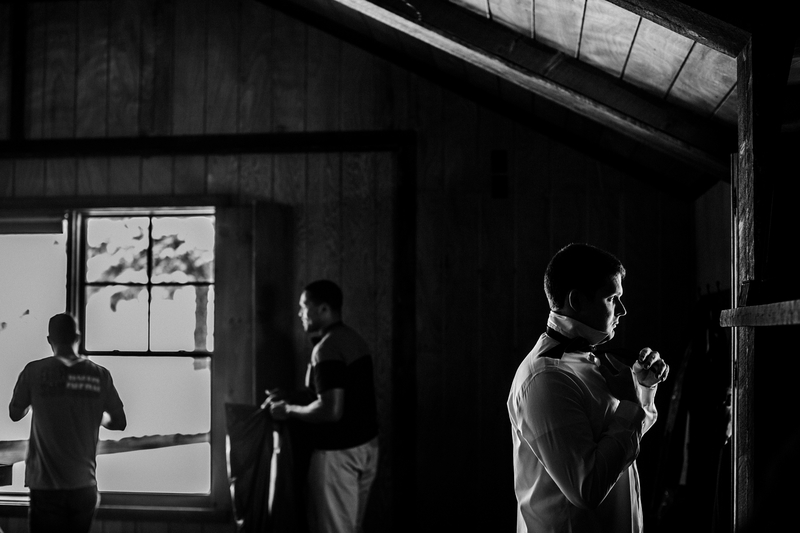 Thanks again to everyone involved and enjoy these pictures from Charlie & Claire’s Spruce Mountain Ranch Wedding.